The top wedding trends of 2017 have been released. Take a sneak peek. "Unplugged" weddings, and the other top bridal trends you'll be seeing this Spring. Ah, weddings. If you don’t overanalyse the seating formation until you start seeing potential arrangements in crop circles, are you even getting married? Everyone wants their wedding to stand out in some way, and according to Pinterest, 2017 is the year of getting creative with seating plans. 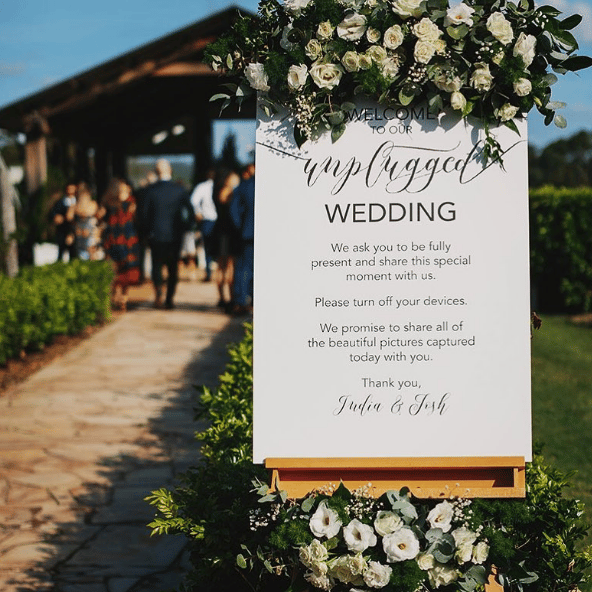 People also seem to want their weddings to be more chilled than usual, with searches showing modern brides are foregoing over-the-top weddings for more casual options. Some of these ideas will even make your wedding a little cheaper, as well as scoring you big points for creativity. 1. Unplugged weddings: This means having all of your guests forfeit their phones for the night. This tag has seen a 600 percent increase in the past year, presumably because everyone is sick to death of their guests being distracted by phones. 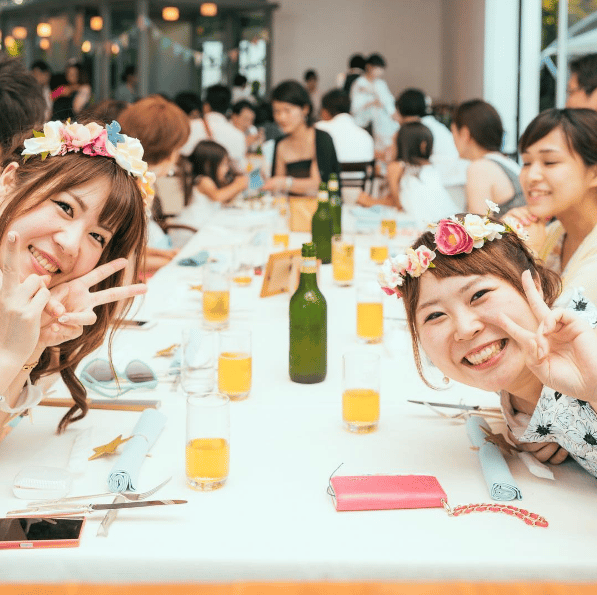 Plus, there’s the unspoken rule that you should never post pictures of the bride before asking her. 2. 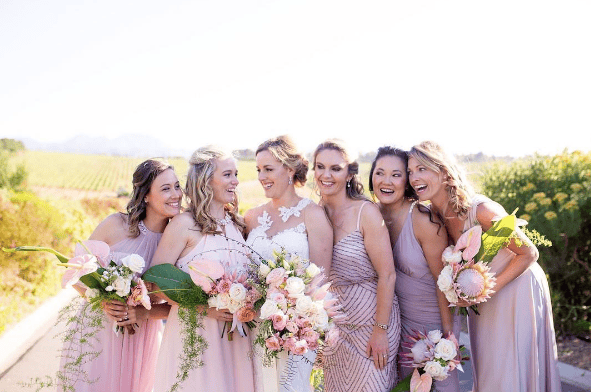 Mismatched bridesmaid dresses: Because it’s almost impossible to find one dress that will suit five different women. 3. 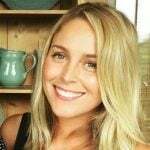 Food trucks: This search has increased 30 percent in the past year. 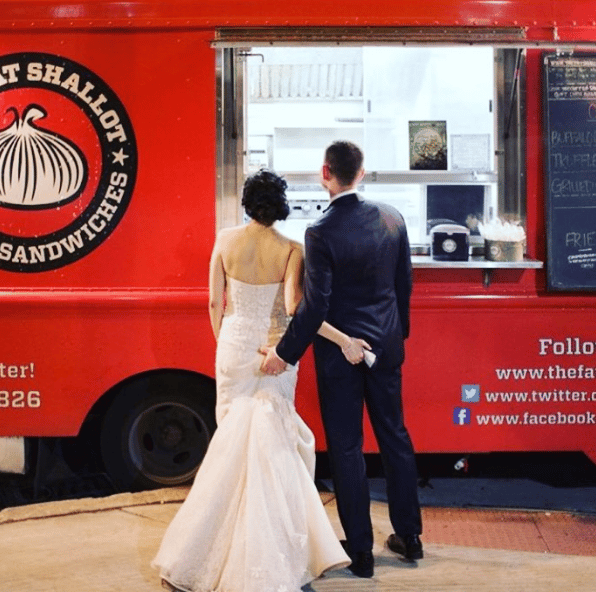 Let’s face it, everyone gets pretty sloppy at weddings, and drunk cravings for greasy food are best filled at a food truck. 4. Honeymoon fund searches went up by 200 percent. Most couples already live together before they get married, so a gift registry for household items isn’t the priority anymore. A romantic vacay after the stress of a wedding is, however. 5. 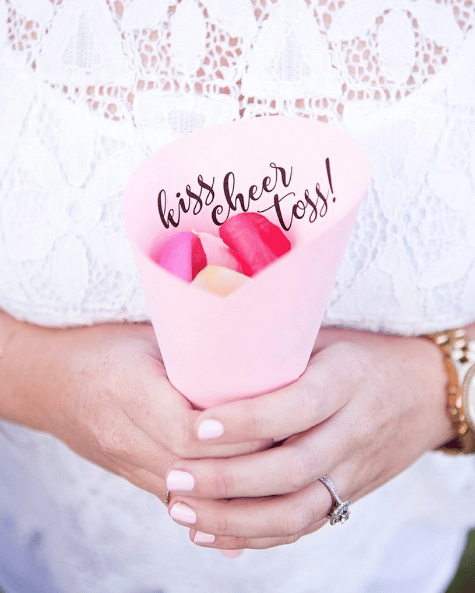 Toss bars: Throwing popcorn, confetti, flower petals, or glitter at the bride—because no one really wants rice in their hair. 6. 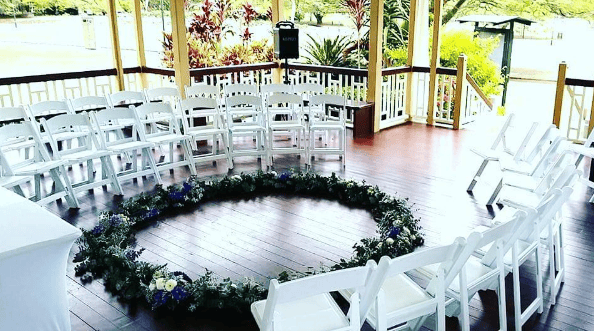 Circular seating provides a more intimate setting for some wedding parties, and searches for it went up by 80 percent. 7. Casual dining: Think picnic-style, plates-on-knees in the backyard. It’s cheaper, more relaxed, and makes for magical, fairy garden-style pictures. 8. 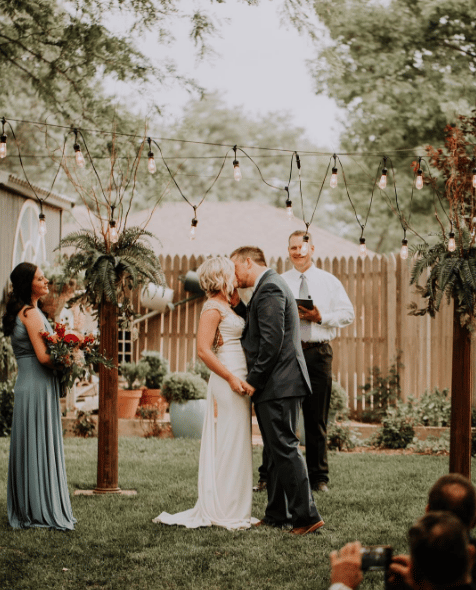 Non-religious and backyard weddings increased by 25 percent. Churches and pastors are no longer a necessity. 9. Frozen desserts instead of lavish cakes. 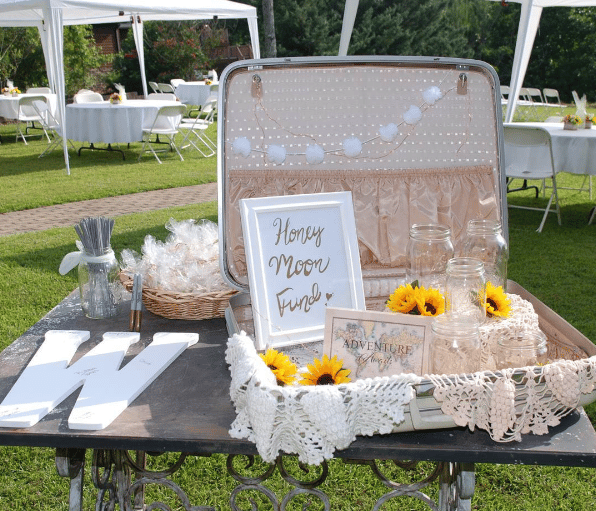 Weddings are most popular in the warmer months, so it makes sense that brides are opting for ice cream and popsicles for a sugar fix. It’s interesting to see 2017 brides steering away from more of the traditional aspects of weddings. These trends show we’re just looking to celebrate love and throw an awesome party—see how many you spot this year.